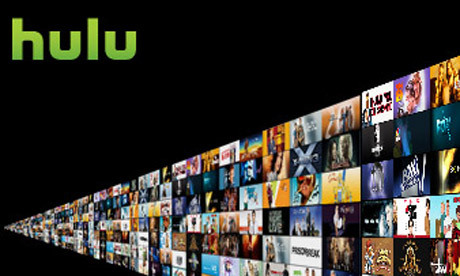 Amazon, Yahoo and Dish Network are believed to be the only three company’s left in the Hulu bidding war which will hand control of the company over to a new owner. Bids are said to be hovering in the $1.5 billion to $2 billion range, while Amazon is still considered a favorite given Amazon CEO Jeff Bezos’ close relationship with Hulu CEO Jason Kilar (who worked for Bezos at Amazon for nearly a decade). According to reports DirecTV was knocked out of bidding after their first initial bid was considered too low. Personally I would love to see Amazon take over the company, they have already shown online streaming know-how thanks to their VOD platform which is currently wrapped into the Amazon Prime System, while the partnership could mean more content for Hulu and Amazon customers. And then there’s Amazon’s rumored tablet. Amazon will need all the help it can get to carve out a dent in Apple’s tablet market share, and carrying the exclusive rights to tap into Hulu could certainly become a compelling factor for generating user interest in the device. For their part Yahoo could score a big win with the acquisition of Hulu, the company has tried rather unsuccessfully over the last several years to penetrate the video streaming market, Hulu would give Yahoo the type of leverage they need to boost their video streaming reach while potentially adding their own unique online based video specials to the mix. Who do you think would be the best fit for Hulu?